Content marketing is becoming increasingly important as an inbound customer acquisition tool for any company. As it turns out, not only is writing content important, but writing content at the right time, with the “write” title is becoming increasingly important. At the Content Marketing World in Columbus, I heard a lot about understanding your consumers and producing content that’s relevant to them. There are a number of methods (surveys, social media, ratings) and tools to listen to your clients (Radian6, Survey Monkey, Internal Search), but you can optimize your content by understanding search behavior. 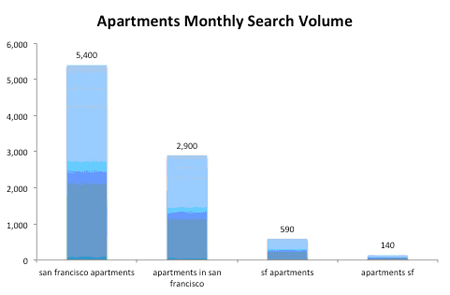 The above (“San Francisco Apartments” vs. “Apartments in San Francisco”) is a common example in the search world. 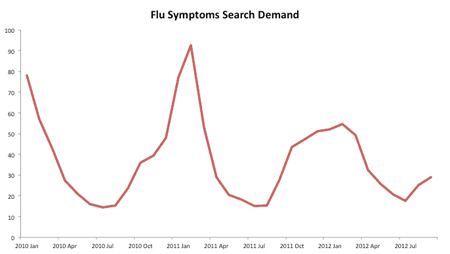 Consumer search language can often be different than normal English phrases. Try to match search phrases without sounding spammy in your headlines or body. 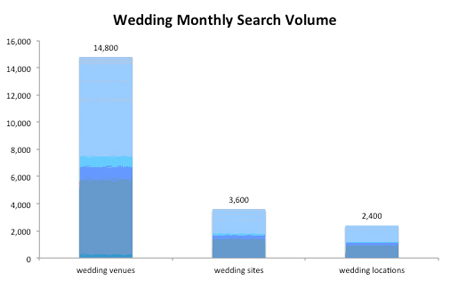 This example — wedding locations vs. wedding venues vs. wedding sites – can help you with organizing your site structure or blog post categories. Understanding the top phrase for similar keywords can make a difference on showing up on page 1 vs. page 3. 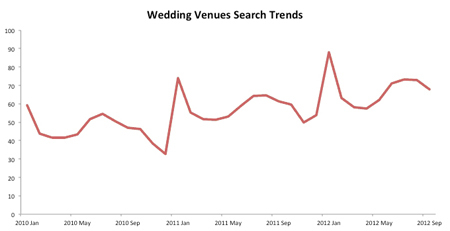 For a wedding site, the category page for places to have your wedding should be labeled: Wedding Venues. It’s great if you understand some of the concepts above, but at the end of the day, none of it makes a difference if you do not write high quality original content. 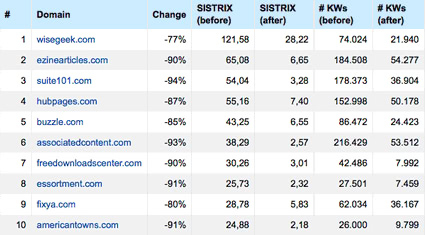 We learned from Google Panda, and subsequently Penguin, that low-quality content simply does not work anymore (see chart below by Sistrix for post-Panda traffic stats). If you are going to run a content marketing campaign, there is no longer a shortcut to content creation – Google and other search engines will penalize you for duplicate content.